A proven clinical tool, the telemedicine system has been used in California at five small hospitals for over four years. Certified by a US Federal certification agency as meeting the criteria for a clinical computer medical record system, it has provided service in Africa, Haiti, India, and the Philippines with successful consults. With most medical specialists in major cities remote from many patients, Telemedicine overcomes the problem of distance and makes travel unnecessary. With Rotary’s reach to remote medical locations around the world and proven telemedicine are a perfect match, a key to providing high quality care to the underserved in the future. Learn more about it at Rotary of Santa Rosa, Wednesday at 12 noon the Flamingo Ballroom. From the number of cyclists, volunteers, and Gesine’s pizzas, we’re all eager to know the bottom line from last month’s Beautiful Ride on Saturday, July 6th, through the woodlands and creeks of West Sonoma County. Giro Bello Chairman Doug Johnson will be giving us a 10 minute (or so) update on what happened at the third annual Giro Bello event and the club’s biggest fundraiser! Did we make any money? Are we doing it again next year? If you want to know the answers, don’t miss next week’s Rotary meeting. Wayne Rowlands took the lead in this week’s introductions of guests, starting off by welcoming back business coach Rachel Clark. Jose Guillen shared the honor and introduced visiting realtor Sonja Butler. Karen Ball introduced her new guest, printer Bart Eddy, and Jane Duggan got warmed up with her introduction of former Rotarian and her guest, Dr. Luis Diaz. There’s more to hear about Jane’s guest but she was already digging through her purse for her raffle ticket. But that’s another story entirely! This week’s Jackpot was not quite up to $25 million, but the club’s newest Red Badger, Jason Black, did his best and enthusiastically announced that there was $325 (and only 42 evil cards) in the velvet bag. After a truly suspenseful wait, “Lucky Jane” Duggan finally located her tiny little red ticket with the winning number! What’s her total score since she qualified to play with the big boys? How many times has Jane’s ticket been drawn this year? Jane must be the only Rotarian who has broken even with all those consolation $10 spots. How many times has she had the winning ticket? Three or four times this year alone? Should we contact Nick and ask for a new roll of tickets? Penny Tibbetts reported that Nick Knickerbocker’s wife Camille was in rehab and doing better. Penny will keep us informed. Best wishes to them both. We note with sadness the passing of Bob Walther, who joined the Rotary Club of Santa Rose in 1980 and eventually served as a Senior Active member for years. A reminder that the Celebration of Life for Carole Cooper will take place next Wednesday morning at 11 am at Daniels Chapel of the Roses, 1225 Sonoma Avenue in Santa Rosa. Her Rotary friends are encouraged to bring your favorite memories to share. No one keeps count, but we must have set a record for the number of Rotarians present for their birthday. In alphabetical, not chronological, order here are the aging 16: That’s almost 10 percent of our members! As fellow Rotarian John McHugh describes the ambition, creativity, imagination, and scope of a Rotary Club’s Legacy Project, it is a commendable challenge for a local Rotary Club, especially the largest and second-oldest club in this part of California. As this club’s historian, however, looking back at the 93 years since we were chartered in December 1921, personal pride, common sense, ingenuity, and a study of what this club has accomplished, the Legacy Project can be successful and accomplish a few miracles in Rotary’s century of accomplishments. Logically, one cannot think of a time better suited to the accomplishment of a worthwhile challenge. If successful, this commendable project would be a project with the potential to transport the Rotary Club of Santa Rosa into its next century since such a project might consume most of the seven years by the time we celebrate the club’s Centennial milestone—a date only seven years from this December. Not much time to imagine, plan, fund, and complete a project of the necessary scope, size, and effort suggested by our district governors and by worldwide Rotary. As John has pointed out, it is time for us to put our heads together and come up with some innovative and unique suggestions for Rotary’s greatest efforts that will impact the residents of Santa Rosa and the other communities throughout the North Bay. Social Chair Debi Zaft did a quick survey to discover the best evening for the monthly club socials, And the winner is—the second Tuesday of the month! With the third annual Giro Bello, club’s first fundraiser of the Rotary year a big success. Past President Debi Zaft reminded us that she is already looking for contributions and sponsors for Rotary’s big Casino Royale, scheduled for Saturday night, January 18th. Donor forms are readily available so put this fund-raising Fun Evening on your new 2014 Calendar. Some of your fellow Rotarians have already located some goodies so do not get left out. 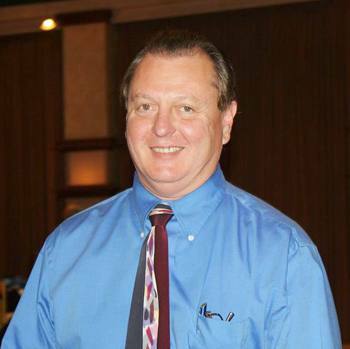 World Community Service Committee: Tim Delaney invited us all to his committee’s social event next Wednesday, August 14, 5 p.m. at Nectar in the Hilton Sonoma Wine Country Hotel, 3555 Round Barn Boulevard. Then, even though President Peggy had not asked him, Tim gave a plug for the “Wings Over Wine County Air Show” at the Sonoma County Airport-on Saturday & Sunday, Aug. 17 & 18, all day both days. Here’s a brief note that reads briefly, “Kim Murphy made a blue bowl”. We’re trying to figure out if Kim is into azure pottery; taken up bowling, or she made some kind of exotic fruit salad. Or did this week’s editor leave something out? Please explain about the blue bowl, Kim. The Rotary Club of Santa Rosa’s Board of Directors met Tuesday evening and made a few important decisions. 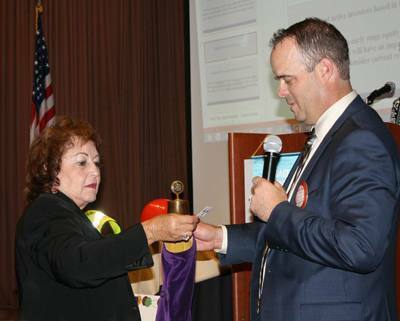 President Peggy announced that the board accepted the club’s budget for this Rotary Year. Each year our budget consists of two parts—the club’s annual Charitable Support with a budget of approximately $64,000; and the Club Administration Budget of about $58,000. Expenditures for local and international projects: Out of a budget of $58,000 for Charitable Support, our Rotary Club spends $12,000 on international projects and $46,000 for local projects—an approximate split of 20 percent internationally and 80 percent locally. Public Relations & Marketing: After member discussions about increasing community awareness of the growing projects—locally and internationally—the board discussed hiring a public relations & marketing professional. Since Wayne Rowlands has stepped up into the chairmanship of the Marketing/Public Relations Committee and has already recruited some new committee members. With Wayne & Doug Johnson already working on the club’s outreach, the board decided to give this committee a chance. So the club will not will not hire a professional PR/Marketing person this year. Club Assembly: President Peggy urges each of us to visit our club’s website before the Club Assembly the last Wednesday of this month—August 28th—and examine the various committees to see on which committees you would like to serve on this Rotary Year. 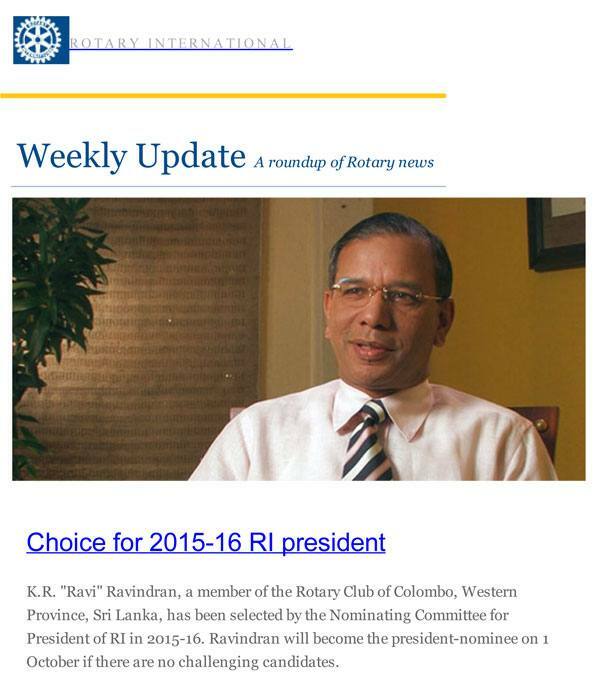 Access the website at www.santarosarotary.com. Congratulations to Steve Reuter for achieving the lofty rank of “Grandfather” for the first time. The responsible kid responsible is named Jack after his great-grandfather, who joined this Rotary Club back in 1974. There is another Jack in the Reuter family—the recipient of $100 contributed by his father to John’s Paul Harris Fellowship. If any Rotarian can explain this genealogy, Editor Jim will arrange for him (or her) to lead the club in the Pledge of Allegiance. 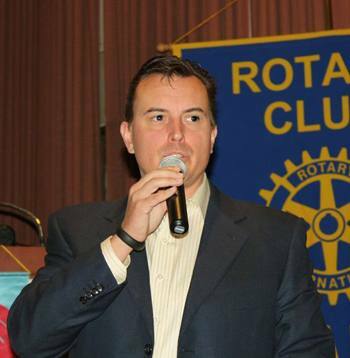 Congratulations to Dr. Doug Chase, DDS, a loyal member of this Rotary Club for almost ten years, who announced at today’s meeting that he had changed his dental career, selling his practice to specialize in cranial orthodontics and sleep breathing therapy. Doug acknowledged these major changes in his practice and donated $100 to the local foundation. Nicole Le has returned from one of those “mandatory” trips to Hawaii. She swears she had to go to the wedding of her “baby” sister, resulting in another $50 contribution to the local Foundation. Tim Delaney must be on a permanent summer vacation. This time he was in Oregon where he ”won some money”. Must have been a generous contribution, because he donated $50 to the local foundation. Craig Meltzner admitted to all that he really enjoyed his recent vacation back-packing in the trails and mountains of rugged Idaho and contributed $50 to complete daughter Rachel’s Paul Harris Fellowship. Dan Schell stood up to brag about his son Jake, who submitted the winning bid that won the demolition contract for Silverado Contractors to destroy Warren Hall, called the worst structure in the Cal State University System, Built on a known earthquake fault. Proud father Dan contributed $20 Wednesday to his Paul Harris Fellowship. His son Jake has a new job in Virginia, demolishing the last of the steam-powered lumber schooners that once worked the northern California coast. And that’s this week’s story of Dan’s Rotary recognition for his talented son Jake. Alternates to a classic mold: The Angels’program committee reviews all business plans submitted to the NBA and selects companies to meet with members of the relevant interest group After an initial review by the committee chairman, companies which most closely fit their investment interests are selected to meet with the relevant interest group, who make recommendations for invitation to the program committee. The membership committee reviews all applications for membership and works with NBA members and sponsors to seek other qualified members. Membership is also extended to Accredited Investors as defined by the Securities & Exchange Commission. Questions & answers: After 15 minutes talking about and defining the North Bay Angels, Che Voight opened the floor for questions about his subject. Most showed the intense interest in his subject, far too many to include in a brief summary of questions and answers ranging from innovations created by the unique organization, alternatives to the classic, the new SoCo Nexus incubator at Sonoma Mountain Village in Rohnert Park, range of investments, and the most persistent problems for new investors. Interestingly, there was no shortage of challenging questions and informative answers.